Homeownership is not more just an American dream, with the country that has witnessed a real estate boom in the last decade. With the increase in the number of homeowners, the issues related to selling one’s houses have also popped up as a major issue due to several reasons. On the other hand, selling a property is a complicated issue, which an owner faces. For most of the property owners, selling their house is not like a routine experience, and the size of investment gives rise to numerous questions. Successful selling is just a matter of sorting thing out and systematically putting them into place. Property sellers usually face the issues of planning a right strategy and getting ready for the sale. Real estate experts with t heir immense experience in this niche are an ideal solution to all their selling needs. Estate agents help homeowners to meet their certain requirements and put together a personal marketing plan that could help them sell their property as quick as possible and at the best possible price. Nevertheless, the property prices keep fluctuating. Some studies offer evidence that varying property prices have had a large effect on the total output and consumption. The last few years though have seen a steady growth in terms of returns. People have come to realize the fact that housing is both consumption good as well as a saving tool. Planning an effective strategy for your house is the most crucial aspect in the entire process. Trends and facts show the difficulties of trying to sell your own house generally far outweigh the benefits. An estate agent places the house on an open market, which exposes the property to all potential buyers. They also provide sound up-to-date market information with current listings and recent sales, which helps homeowners to price their house realistically. House selling issues are very common and can happen to anyone who intends to sell their property quick. What can you do in this regard? Is there any effective solution to it? 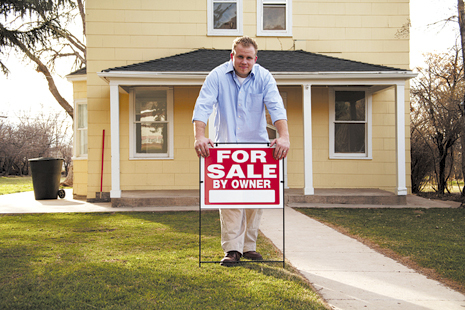 Should you be waiting for the real estate agent to sell your house or you should try selling it all on your own? Lack of equity restricts the options of the seller to a greater extent. An alternative to this issue is to sell your house to cash home buyers, who are willing to buy your house for fast cash. You must be wondering what are the benefits of using quick house sale company instead of an estate agent? Home buying companies specialize in finding the most creative and best solution to your real estate issues that others will not even touch. They are willing to buy your house for cash, lease or take over your payments, and buy your house immediately. They will be handling all the paperwork, make all the vital arrangements and close the deal within 24 to 72 hours if necessary. Homeowners get to have a quick sale for fast cash with no hassles, and can put all their worries behind.